As they say even too much of a good thing can turn toxic. So while there are still a few children’s fantasy series remaining, Harry Potter, Hunger Games and His Dark Materials being notable absentees from the list so far, I move on to a different topic for now. I shall of course return with another series of children’s fantasy in a little while. Having covered science fiction, classics with science fiction concepts and children’s fantasy, logically next one should be on fantasy series. But then there have only been book showcases so far and I never intended this blog to be purely a book review or book show case blog. As I have mentioned at the outset, this is a blog with fictional and non-fictional content spanning different themes around science fiction, fantasy and history. So the next theme I would be taking up is English Fairy tales. 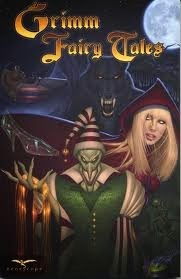 Fairy tales, mythology and folklore are fascinating and usually form the basis for fantasy. The three are related and yet have their differences. While folklore consists of simple stories with some obvious lessons for life, mythology can get very esoteric, have religious significance and can be very detailed. Fairy tales on the other hand are targeted at children and may not even have a moral or lesson for life in them. They are just pure works of imagination with a simple fantasy idea in it. Sometimes they may be euphemistic adaptations for children of more unpleasant folklore or real life events. One characteristic of fairy tales is their simplicity: the characterization is usually thin and stereotypical, the entire story focuses on a simple set of linear events and there aren’t too many undertones as such. If we start adding these elements to the basic story, it starts morphing into a fantasy story. So a look at fairy tales is an integral part of any discussion on fantasy fiction. I think most people would be familiar with the basic premise of most of these fairy tales. So I would not be bringing too much new to the table my reproducing information that can be easily found in Wikipedia. I think a scholarly analysis of the fairy tales is something which neither I am up to as a writer nor would my readers be up to. So what I shall attempt is a retelling. And not just a straightforward retelling at that! I am thinking of bringing in a personal twist here. I plan to change the tone of the narrative, change of point of view, set the story in a different time, give a different interpretation to the events in the story etc. to make it more interesting. That I feel will be relevant as well in terms of giving insights on how a fairy tale can be transformed into fantasy. Though there are fairy tales from every country, I have chosen to take on only the English ones popularized by Grimm Brothers and Hans Andersens as they are more well known and most people in countries with English as medium of education would be familiar with them. Maybe later on, in a different series, I will take on the not so well known ones. I hope to bring one or two guest posts as well in this series as well to bring some variety. Hope it turns out to be good as it promises, Suresh. Welcome to my blog, Richa. Hope I can keep you enteratined with my takes on the different fairy tales. Hope so - depends largely on audience response and my bandwidth - I have 4 already written and 2 guest post making it 6 - so depends how many more new ones I can write - these take longer to write than reviews and one needs to have right mood etc.